To accommodate the relocation of 100 employees to their Rockland County, NY campus, EI was retained to develop a Master Plan Expansion Program for the site. As part of our Master Plan assignment, EI identified 6 expansion options and provided associated budgetary costs to assist in their decision making process. The Master Plan included User Program Requirements and the criteria for all building and site improvements covering Civil, Architectural, Structural, Mechanical, Electrical, Plumbing and Fire Protection systems. 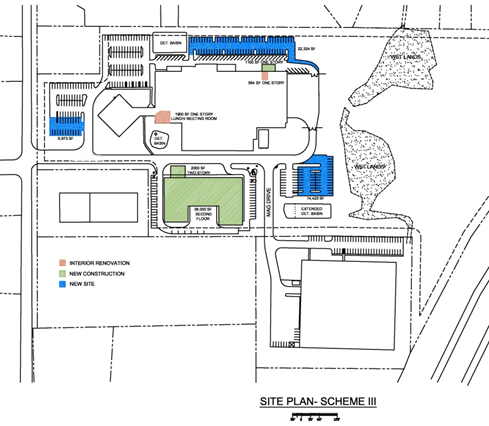 EI is presently assisting this client with executing the Master Plan improvements in a Phased project approach.